Leaving aside the question of fiction and non-fiction, I’m wondering what is the point of this book? Why is a French writer so selectively recreating historical events and placing the blame on Halifax? I’d be much more interested in reading about what French politicians and business leaders were doing at the time. You have a very valid point. 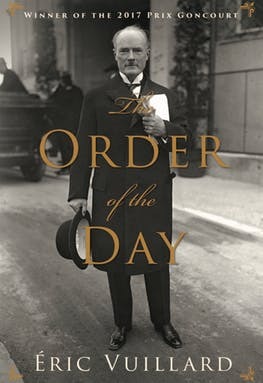 ‘The Order of the Day’ is written by a French writer yet there is not even one mention of France in the novel. Lord Halifax and Neville Chamberlain were certainly villains in the World War II story though. Thank Heaven for Winston Churchill. Methinks the French are a little too ready to be critical of Britain in WW2.